Our quality Rustic Fencing is made from steam peeled, oak and sweet chestnut, coppiced from the Wyre Forest. 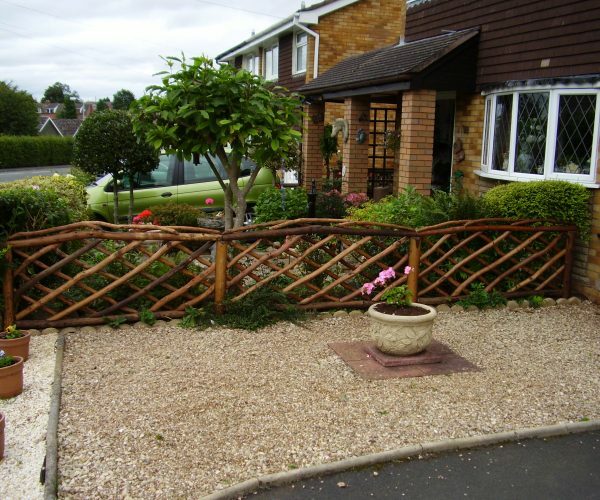 Each section is made with integral posts and is available in a choice of four heights. However, panels can be made in a variety of widths to suit customer requirements. Please see the link below for measuring guide. £95 + VAT - 92cm/36"
£105 + VAT - 122cm/48"
£115 + VAT - 153cm/60"
£125 + VAT - 183cm/72"